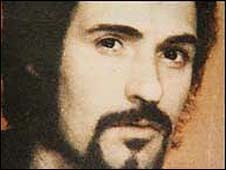 There are "no circumstances" in which Yorkshire Ripper Peter Sutcliffe could be released from prison, Justice Secretary Jack Straw has said. He was answering a question in the Commons from Tory MP Julie Kirkbride on behalf of one of her constituents, a relative of one of Sutcliffe's victims. Sutcliffe, 63, who murdered 13 women across northern England, has begun a legal bid to limit his time in jail. He was given 20 life terms in 1981 for the murders and seven other attacks. Ms Kirkbride, who represents Bromsgrove, in Worcestershire, said her constituent wanted a reassurance that Sutcliffe "will never be let out of prison for his heinous crimes". Mr Straw answered: "I would like to provide that reassurance... ultimately that decision would be a matter for the parole board and the courts and maybe for mental health tribunals. "But I say to you, and through you to your constituent, that all the evidence that I have seen on this case, and it's a great deal, suggests to me that there are no circumstances in which this man will be released." Sutcliffe, who is now known as Peter Coonan, is being held in Broadmoor top security psychiatric hospital. He was transferred there from prison in 1984 after being diagnosed with paranoid schizophrenia. When he was sentenced at the Old Bailey in 1981 the trial judge, Mr Justice Boreham, recommended that he serve a minimum of 30 years behind bars. However no formal tariff was given. It was revealed earlier this month that Sutcliffe was seeking a High Court ruling on how much longer he must spend in jail. A spokesman for the Ministry of Justice (MoJ) said they do not comment on individual cases, and that the decision for setting a minimum tariff was a matter for the High Court. He added: "Ministers now have no involvement in setting tariffs and it would not be appropriate to enter into speculation as to the result. "The setting of a tariff has no bearing on whether or not an individual is released from a secure hospital and into the prison system; discharge from hospital is a matter for doctors and for the independent mental health review tribunal. "The tariff expiry point is not a date of release. It is the first point at which a prisoner can ask a parole board to consider their suitability for release."